1593. 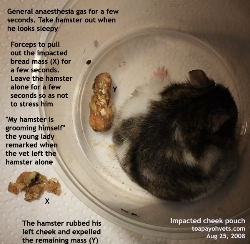 "Any side effects of the anaesthetic gas for my hamster after going home?" the young lady ask. 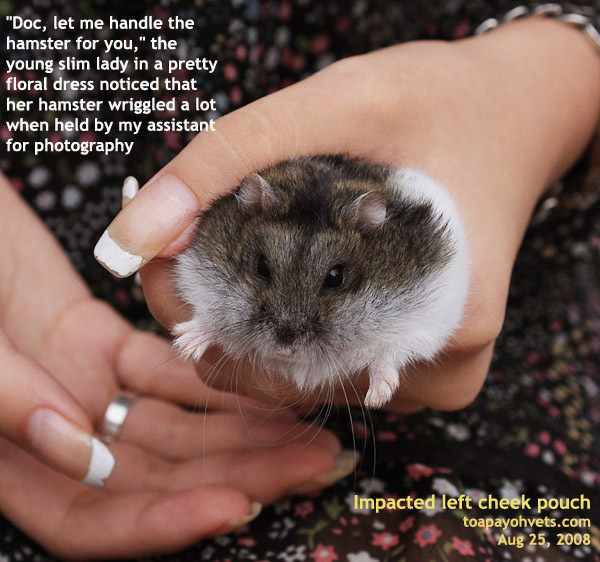 "No," I said. "No more bread for your hamster." 1592. 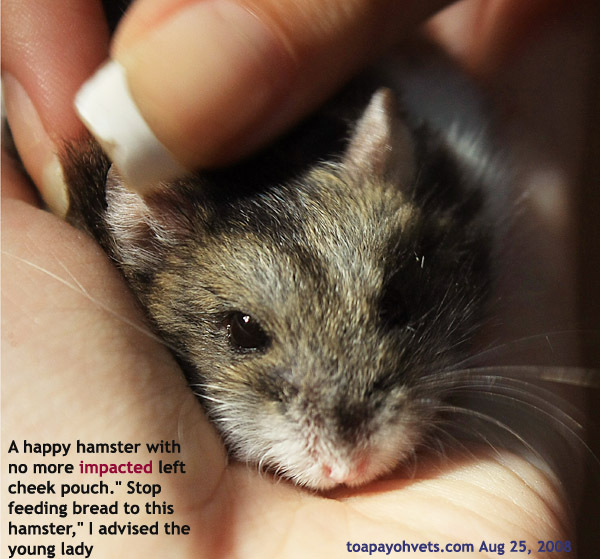 Hamster grooming vigorously and suddenly expelled the big bread mass (Y). 1591. Storing bread for a rainy day. 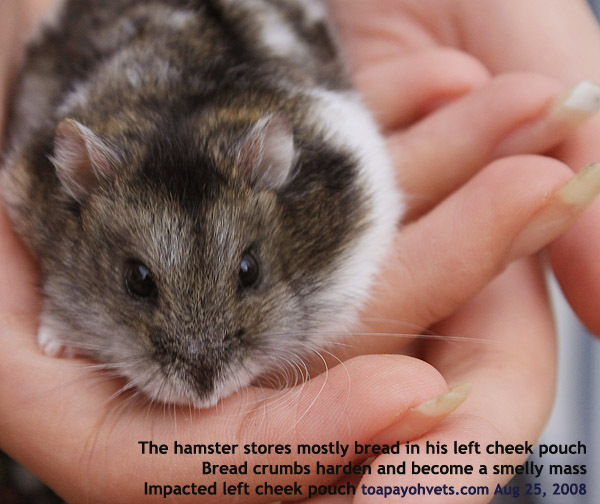 Very smelly hardened lump of mainly bread in the left cheek pouch. 1590. 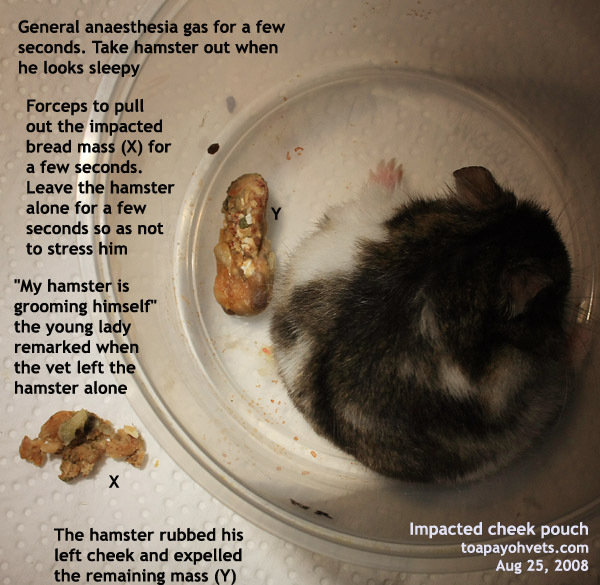 Does the hamster look normal? 1585. 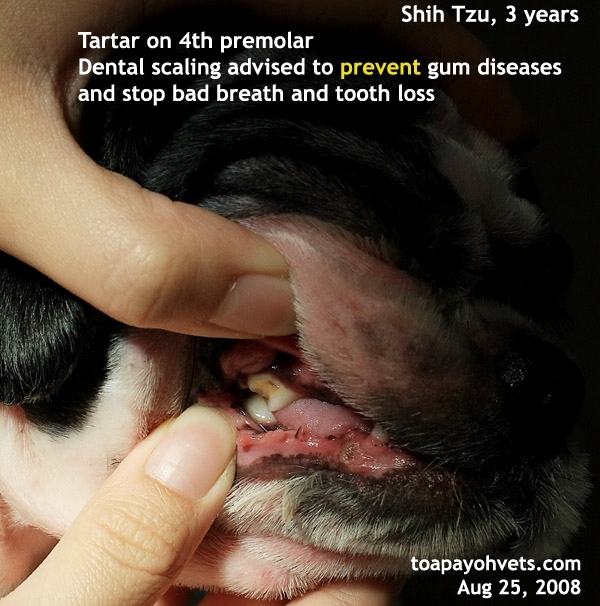 A veterinarian-client relationship of trust benefits your dog. Tick Fever in a Great Dane. 1584. The Great Dane reluctantly said goodbye to the vet since his caregiver asked him to do it. 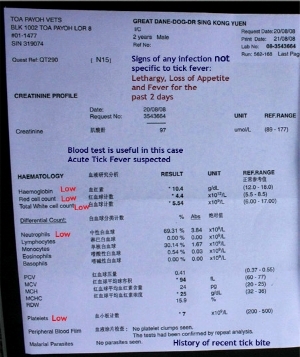 Given anti-babesia injection on Aug 21, 2008. Not fully recovered as at Aug 25, 2008. 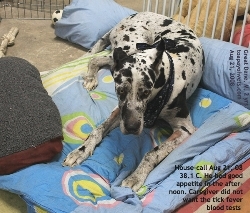 Owner advised to monitor his temperature. A veterinarian-client relationship of trust benefits your dog. 1583. The Great Dane remembered the injections and drips at the vet and ran into the safety of his home. 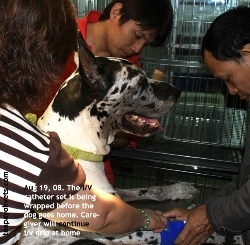 A veterinarian-client relationship of trust benefits your dog. 1582. 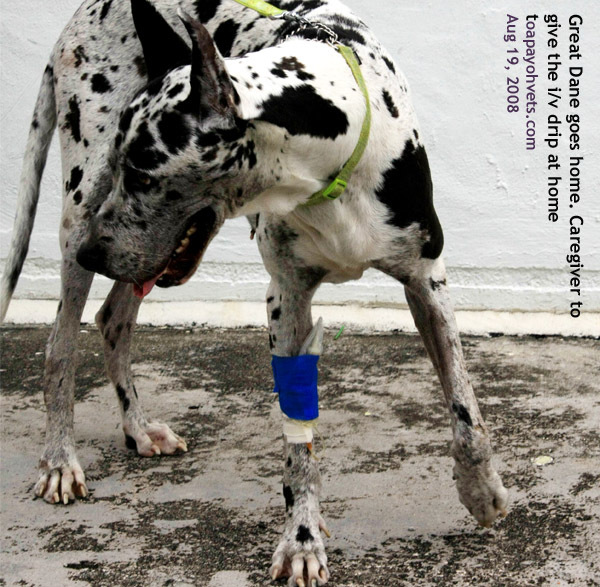 "Dog looked normal," his gentleman owner said. 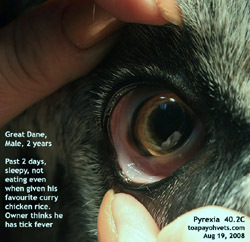 "No pallor of tick fever." 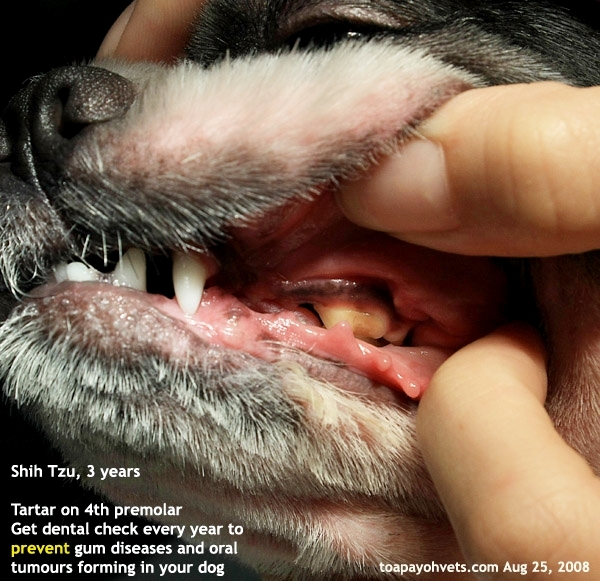 A veterinarian-client relationship of trust benefits your dog. 1581. 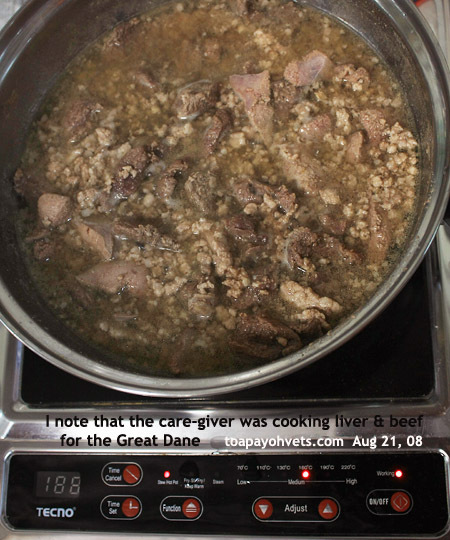 Caregiver cooked liver. 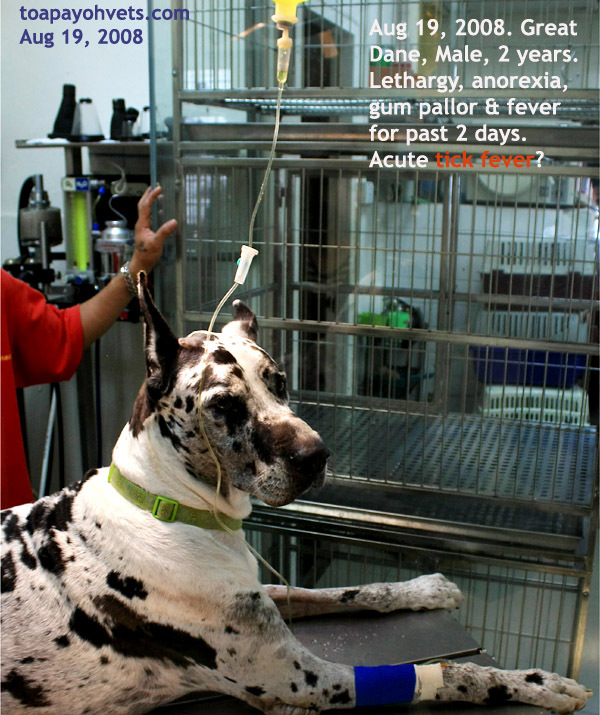 She gave a few bags of fluid and lots of multivitamins to the Great Dane for the past 2 days. A veterinarian-client relationship of trust benefits your dog. 1580. Should the vet make a house call? 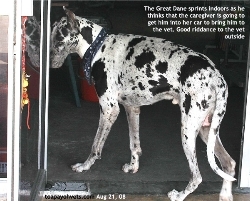 The busy caregiver did not update the vet. 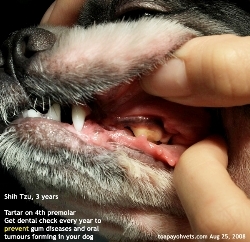 A veterinarian-client relationship of trust benefits your dog. 1579. 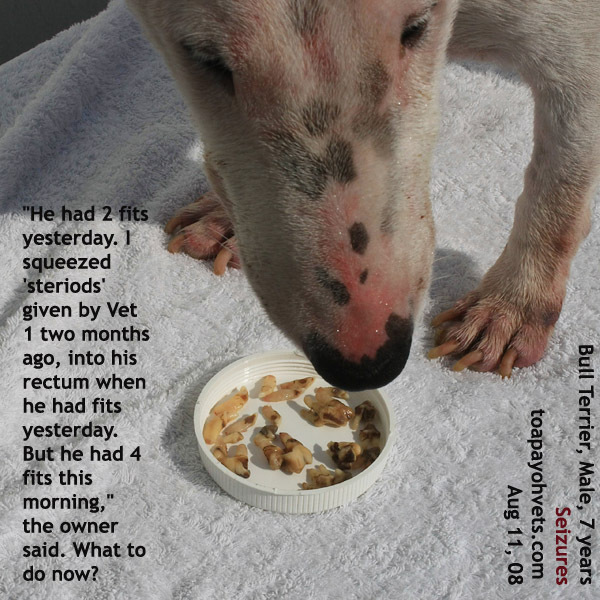 A veterinarian-client relationship of trust benefits your dog. 1578. A veterinarian-client relationship of trust benefits your dog. 1577. 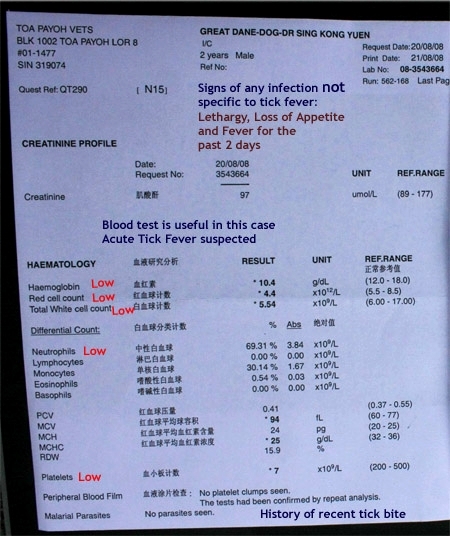 Complete blood count needed. 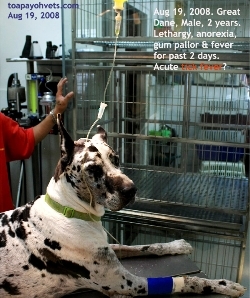 I/V antibiotics and amino acids given. Sent home with the i/v catheter in his vein. 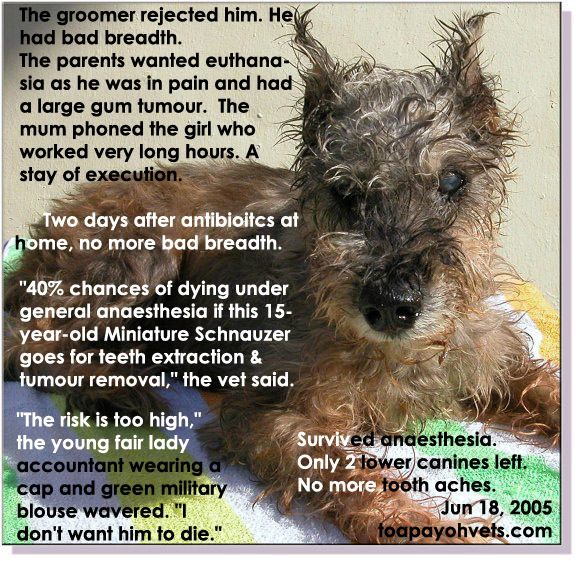 A veterinarian-client relationship of trust benefits your dog. 1576. 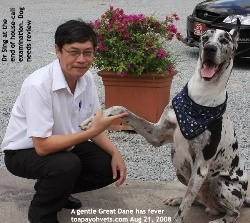 Great Dane. Sleepy, not interested in his curry chicken rice for past 2 days. 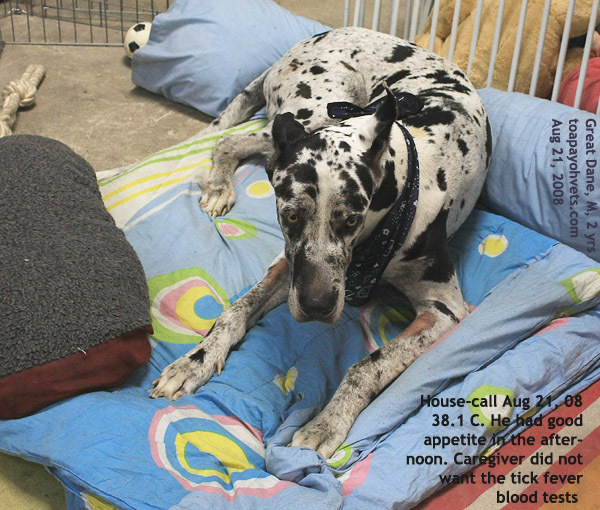 "He had a few ticks," the caregiver said. A veterinarian-client relationship of trust benefits your dog. 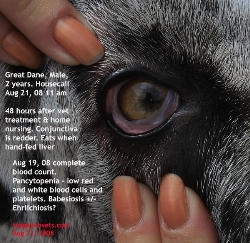 Tick Fever in a Great Dane.